Hot Tin Roof was appointed in May 2015 to launch Scotland’s first digital skills academy. With no name, no premises and only three people on the startup team, we started with a blank sheet of paper. 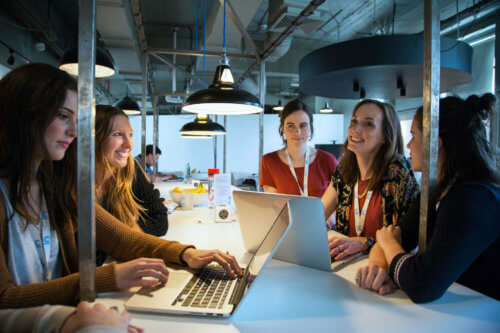 Launching CodeClan, the UK’s first fully accredited digital skills academy, is an example of Hot Tin Roof’s ability to start a long-term project with a series of milestones to a large audience. CodeClan was a project with several high profile stakeholders, including the Scottish Government and Skills Development Scotland. Over the first year (July 2015 to July 2016) we delivered a high-profile media campaign to raise awareness of the brand, educated the market about the new route for getting into a career in digital technology and successfully launched CodeClan in Scotland. Drawing on our experience and well-established networks and partners, we helped CodeClan put down strong roots in the Scottish tech scene. Along the way, key CodeClan spokespeople met with press including the BBC, Financial Times, The Herald, The Scotsman, The Sunday Herald, The National, BQ, The Times and TESS. 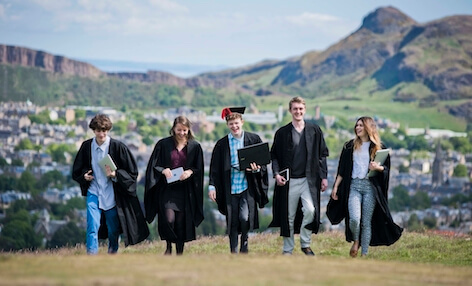 We commissioned iconic photography on top of Blackford Hill overlooking the city to launch the concept of CodeClan before it had a physical location and these images have since been used by hundreds of publications and websites worldwide. From a standing start we helped to build CodeClan’s reputation not only with potential students and tutors but also with their key influencers as well as employers and the stakeholders that comprise Scotland’s tech ecosystem. 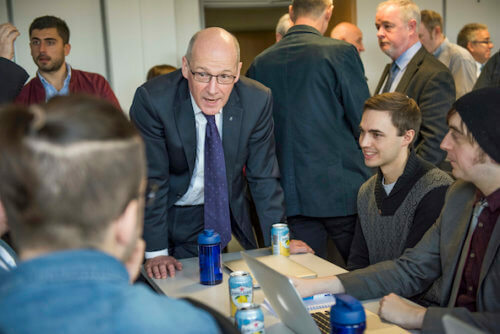 Over the course of two years, we helped CodeClan celebrate its first and second birthdays, both of which saw the Deputy First Minister in attendance to hail the success of the academy. The first birthday was marked by the BBC Reporting Scotland filming a five minute news segment which aired that night. We played a pivotal role in the launch of CodeClan’s second academy in Glasgow in early 2017, we helped raise awareness of CodeClan’s success as the winner of the ‘Best Education Provider’ at the 2017 Digital Technology Awards, and we introduced the media to CodeClan’s new female CEO, Melinda Matthews in January 2018.